Some more complex lighting is powered by a single transformer with more power. 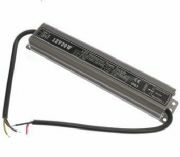 For example a 50W LED driver could power 10 x 5W bulbs. Strip lighting typically operates at 7W per meter so a 5 meter length would require approximately a 35 - 40W LED driver. If LED bulbs or strip lighting are to be connected together in series or parrallel the correct LED driver should be used that matches the required power. To check you have enough power ensure that the LED driver power rating in watts equals or exceed the total bulbs connected. If in doubt please consult a qualified electrican or email us info@leds4less.co.uk and we will be happy to help. Different LED drivers are required for different environments for example indoor, outdoor use or kitchen or bathroom. If the driver is to be used outside we recommend that a waterproof driver is used with a minimim IP 65 rating. We would also recomend this for kitchens and bathrooms a waterproof driver with a IP67 minimum rating is used. 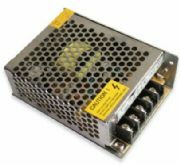 In summary a LED driver reduces the power to the bulb prelonging the life and provides a constant current or voltage ensuring no flickers. Please note that the drivers listed below are for non dimmable bulbs and should not be used with a dimmer switch. 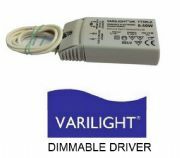 For dimmable LED drivers please click here.